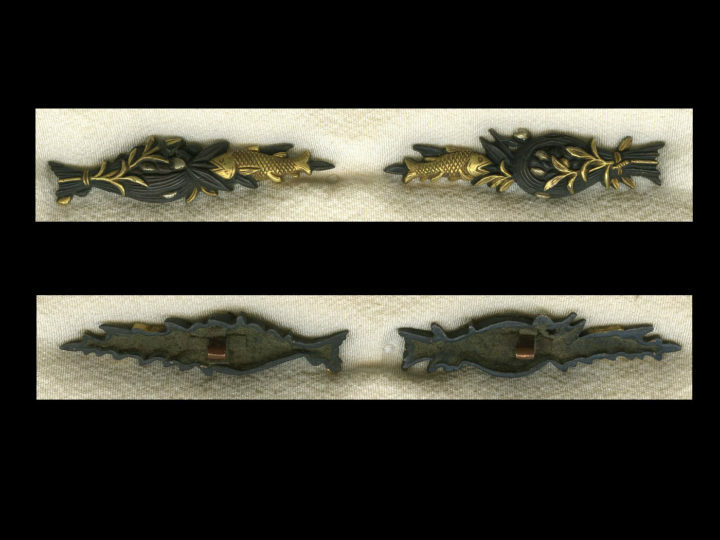 This is a very pleasing pair of menuki from the Iwami school. 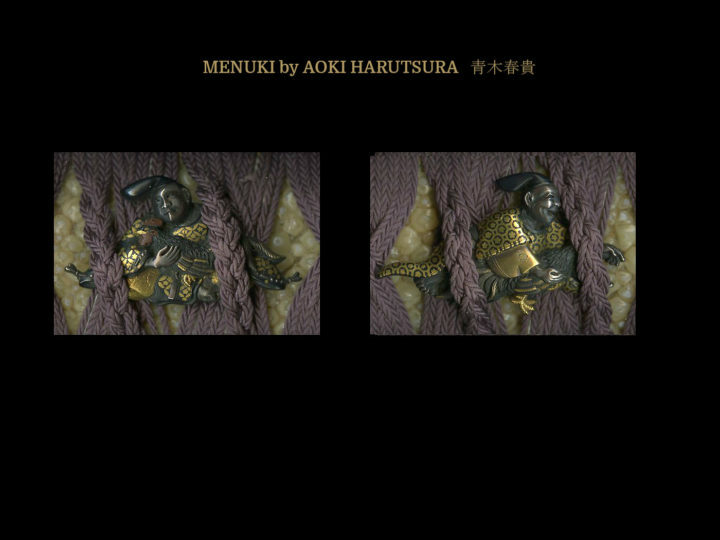 One of the menuki is a clam shell made of silver. 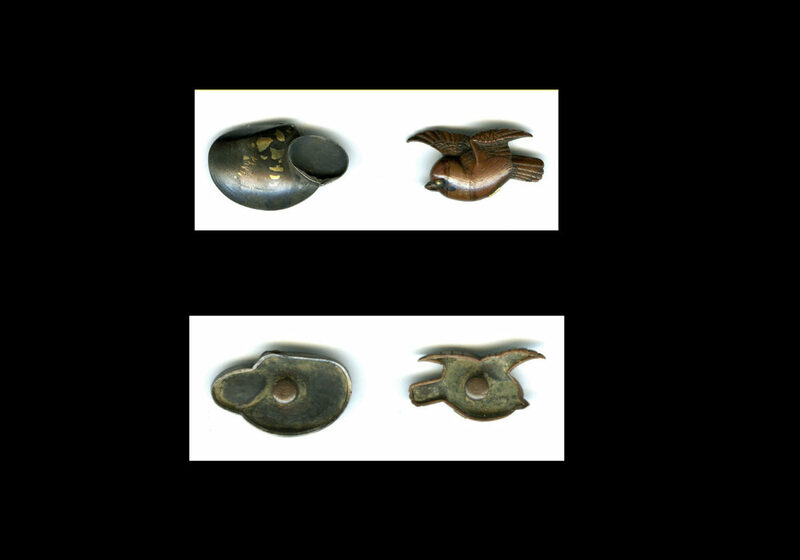 The other is a beautiful sparrow made of copper. There is an old Chinese proverb that says that a sparrow may become a clam in the sea, and a field-rat may become a quail. The proverb means that even impossible things can happen in the mysterious world we live in. 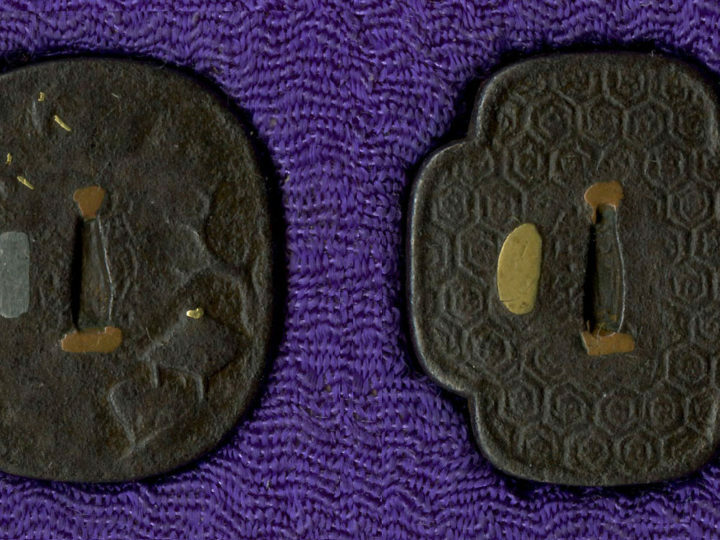 I think these menuki pay homage to that proverb. 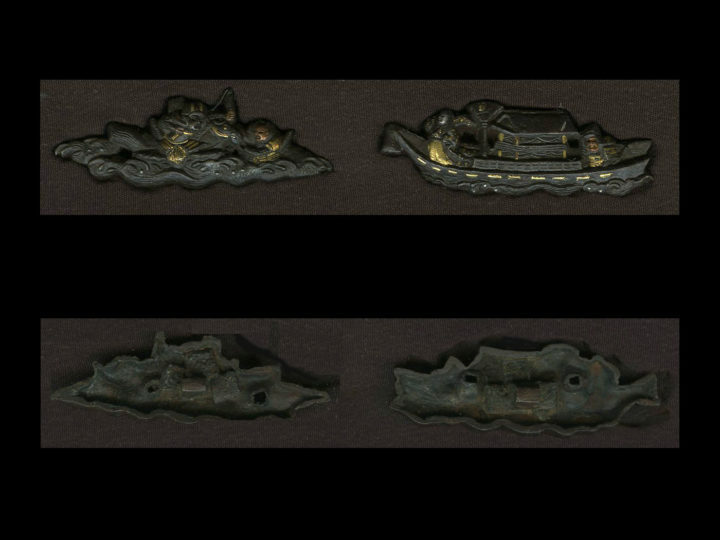 These menuki measure 1 1/8 inches or 2.9 cm by 9/16 inches or 1.9 cm. 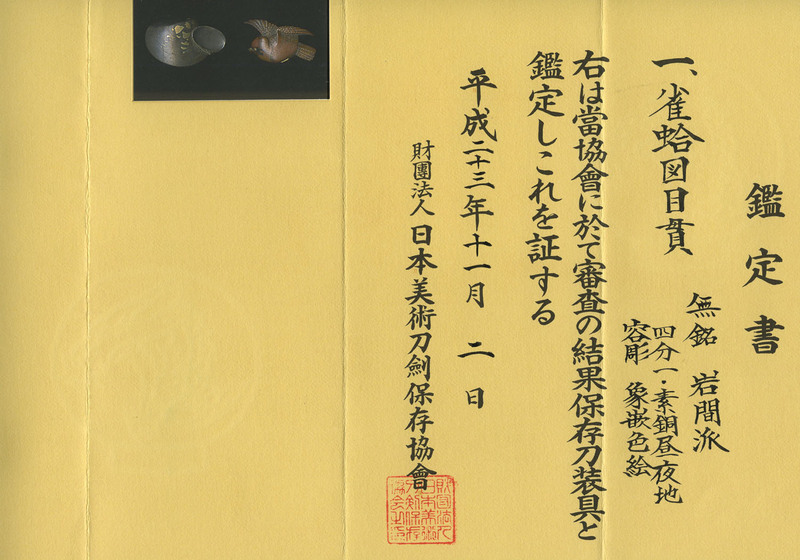 They are in excellent condition and come with NBTHK Hozon papers attesting to this attribution and their quality.